It's so wonderful to have you here! This blog is a place to cuddle up with a mug of tea and stay a while. I adore covering a range of topics near and dear to me. Whether it's a book that sparked my entrepreneurial spirit in a new way, an exercise to ease the tight muscles that come with creating, a meal to replenish the spirit and give energy and balance to a busy day, or a cool new small business tool I found, there's something for everyone. If one of these stories moves you, make sure to leave a comment -- I would love to hear what you're thinking! Get Rock That Gem blog posts delivered right to your inbox! 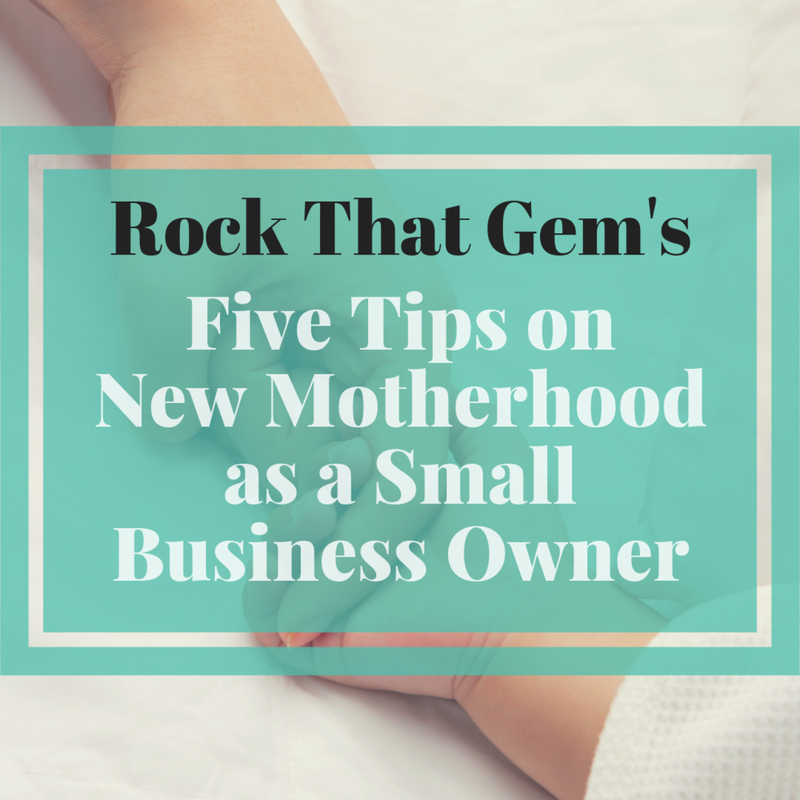 How do you find the time or stamina to continue your small business when new motherhood takes over? If you’re thinking about getting pregnant (or adopting), already sporting a bump, or in the thick of those first few weeks of new baby sleep deprivation (it gets better, I promise! ), hopefully this list of things I’ve figured out so far will help! In this new year, it feels especially important to me to acknowledge the big accomplishments and highlights from 2017. Yesterday I set aside a few hours in the afternoon to focus on doodling all the noteworthy highlights I could think of from 2017. Let's see what significant events made it into my drawing! Whether you're planning a big night on the town, a cozy evening on the couch, or a long-distance call with your special someone for Valentine's Day, it's always a treat to include a hand-written card from the heart. Here are some of my favorite love-themed cards from some awesome fellow Etsy shop owners! Looking for some uniquely awesome and creative gifts for friends and family that can still be shipped in time for the holidays? This last-minute holiday gift guide for 2016 is just for you! All of these products are still available to purchase online, but don't delay -- gifts this good never stay in stock for long! The third installment of this guide to cooking and eating during the springtime concludes with a bright and refreshing lemon tofu pie and a grounding mug of kukicha tea. Remember to always chew slowly, put your heart into your meal, and be thankful for all you have! Part two of this guide to eating with the seasons emphasizes lighter foods and the vegetables that rise up from the ground as the weather gets warmer. Asparagus is the epitome of this and is utilized in this fresh side dish. Soba noodles and a light tofu pesto make for the most delicious main dish! This three-part series guides you through cooking the perfect spring menu to help you start eating with the seasons! Today we start with a delicious artichoke appetizer, cooking it gently to maintain all the wonderful nutrients and sweet flavors. 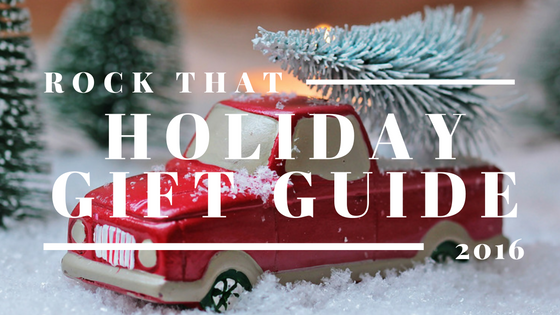 I compiled this special holiday gift guide to give you some great ideas while also giving you the chance to meet some of my favorite fellow makers. These creative shop owners are all so talented. It will be hard for you not to purchase a little something for yourself too! In an effort to relieve all of our tight muscles I asked my friend Kenzie Pause, a yoga teacher here in Brooklyn, to develop a custom yoga routine that we can easily incorporate into our days. These poses target the areas that suffer the most when you're hunched over workbench or tight from sitting all day! I recently read Big Magic: Creative Living Beyond Fear by Elizabeth Gilbert of Eat, Pray, Love fame and was impressed with how relevant this book is to all of us, especially entrepreneurs. She offers great thoughts about creativity, and I'm excited to share with you a few that particularly resonated with me.